The value of a bond is obtained by discounting the bond’s expected cash flows to the present using an appropriate discount rate. discount rate: The interest rate used to discount future cash flows of a financial instrument; the annual interest rate used to decrease the amounts of future cash flow to yield their present value. The bond price can be calculated using the present value approach. Bond valuation is the determination of the fair price of a bond. As with any security or capital investment, the theoretical fair value of a bond is the present value of the stream of cash flows it is expected to generate. Therefore, the value of a bond is obtained by discounting the bond’s expected cash flows to the present using an appropriate discount rate. In practice, this discount rate is often determined by reference to similar instruments, provided that such instruments exist. The formula for calculating a bond’s price uses the basic present value (PV) formula for a given discount rate. Bond Price: Bond price is the present value of coupon payments and face value paid at maturity. Par value is stated value or face value, with a typical bond making a repayment of par value at maturity. A bond selling at par has a coupon rate such that the bond is worth an amount equivalent to its original issue value or its value upon redemption at maturity. A typical bond makes coupon payments at fixed intervals during the life of it and a final repayment of par value at maturity. Together with coupon payments, the par value at maturity is discounted back to the time of purchase to calculate the bond price. Par value of a bond usually does not change, except for inflation -linked bonds whose par value is adjusted by inflation rates every predetermined period of time. Par value, in finance and accounting, means the stated value or face value. From this comes the expressions at par (at the par value), over par (over par value) and under par (under par value). A bond selling at par has a coupon rate such that the bond is worth an amount equivalent to its original issue value or its value upon redemption at maturity. Corporate bonds usually have par values of $1,000 while municipal bonds generally have face values of $500. Federal government bonds tend to have much higher face values at $10,000. Below is the formula for calculating a bond’s price, which uses the basic present value (PV) formula for a given discount rate. Bond Price Formula: Bond price is the present value of coupon payments and the par value at maturity. F = face value, iF = contractual interest rate, C = F * iF = coupon payment (periodic interest payment), N = number of payments, i = market interest rate, or required yield, or observed/ appropriate yield to maturity, M = value at maturity, usually equals face value, P = market price of bond. Par value of a bond usually does not change, except for inflation-linked bonds whose par value is adjusted by inflation rates every predetermined period of time. The coupon payments of such bonds are also accordingly adjusted even though the coupon interest rate is unchanged. Yield to maturity (YTM) = [(Face value/Present value)1/Time period]-1. If the YTM is less than the bond’s coupon rate, then the market value of the bond is greater than par value ( premium bond). If a bond’s coupon rate is less than its YTM, then the bond is selling at a discount. If a bond’s coupon rate is equal to its YTM, then the bond is selling at par. quote: To name the current price, notably of a financial security. 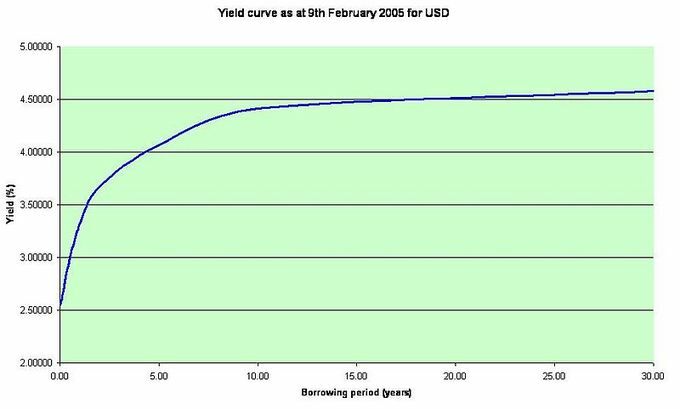 The Yield to maturity (YTM) or redemption yield of a bond or other fixed- interest security, such as gilts, is the internal rate of return (IRR, overall interest rate ) earned by an investor who buys the bond today at the market price, assuming that the bond will be held until maturity, and that all coupon and principal payments will be made on schedule. 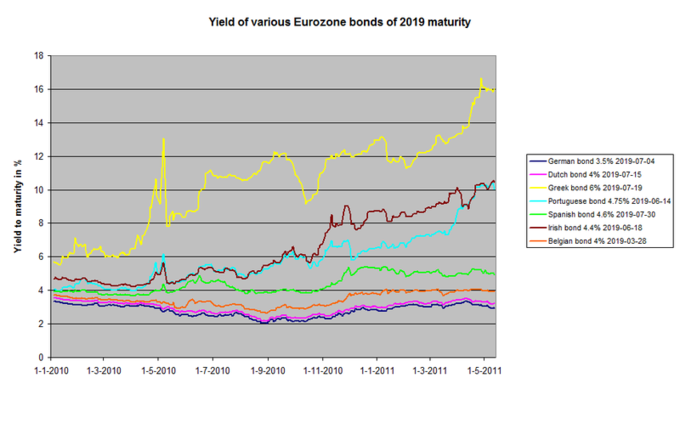 Yield to Maturity: Development of yield to maturity of bonds of 2019 maturity of a number of Eurozone governments. If the yield to maturity for a bond is less than the bond’s coupon rate, then the (clean) market value of the bond is greater than the par value (and vice versa). If a bond’s coupon rate is less than its YTM, then the bond is selling at a discount. If a bond’s coupon rate is more than its YTM, then the bond is selling at a premium. If a bond’s coupon rate is equal to its YTM, then the bond is selling at par. systematic risks: In finance and economics, systematic risk (sometimes called aggregate risk, market risk, or undiversifiable risk) is vulnerability to events which affect aggregate outcomes such as broad market returns, total economy-wide resource holdings, or aggregate income. 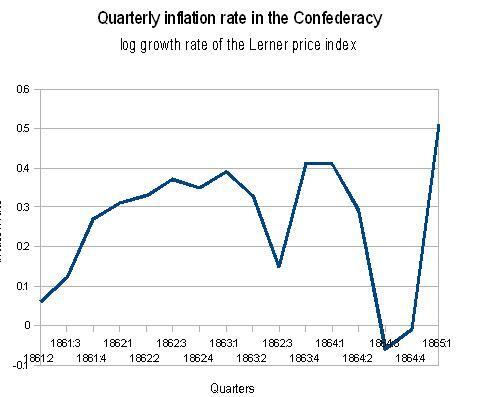 Inflation rate graph: Inflation rate in the Confederacy during the American Civil War. Nominal rate refers to the rate before adjustment for inflation; the real rate is the nominal rate minus inflation: r = R – i or, 1+r = (1+r)(1+E(r)). Simple equation between nominal rates and real rates: i = R – r.
purchasing power: Purchasing power (sometimes retroactively called adjusted for inflation) is the amount of goods or services that can be purchased with a unit of currency. In finance and economics, nominal rate refers to the rate before adjustment for inflation (in contrast with the real rate). The real rate is the nominal rate minus inflation. In the case of a loan, it is this real interest that the lender receives as income. If the lender is receiving 8% from a loan and inflation is 8%, then the real rate of interest is zero, because nominal interest and inflation are equal. A lender would have no net benefit from such a loan because inflation fully diminishes the value of the loan’s profit. Real and nominal: The relationship between real and nominal interest rates is captured by the formula. Where r is the real rate, i is the inflation rate, and R is the nominal rate. “Time to maturity” refers to the length of time before the par value of a bond must be returned to the bondholder. “Time to maturity” refers to the length of time that can elapse before the par value (face value) for a bond must be returned to a bondholder. This time may be as short as a few months, or longer than 50 years. Once this time has been reached, the bondholder should receive the par value for their particular bond. The issuer of a bond has to repay the nominal amount for that bond on the maturity date. After this date, as long as all due payments have been made, the issuer will have no further obligations to the bondholders. The length of time until a bond’s matures is referred to as its term, tenor, or maturity. These dates can technically be any length of time, but debt securities with a term of less than one year are generally not designated as bonds. Instead, they are designated as money market instruments. Because bonds with long maturities necessarily have long durations, the bond prices in these situations are more sensitive to interest rate changes. In other words, the price risk of such bonds is higher. The fair price of a “straight bond,” a bond with no embedded options, is usually determined by discounting its expected cash flows at the appropriate discount rate. Although this present value relationship reflects the theoretical approach to determining the value of a bond, in practice, the price is (usually) determined with reference to other, more liquid instruments. The yield to maturity is the discount rate that returns the bond’s market price: YTM = [(Face value/Bond price)1/Time period]-1. To achieve a return equal to YTM (i.e., where it is the required return on the bond ), the bond owner must buy the bond at price P0, hold the bond until maturity, and redeem the bond at par. If a bond’s coupon rate is less than its YTM, then the bond is selling at a discount. If a bond’s coupon rate is more than its YTM, then the bond is selling at a premium. If a bond’s coupon rate is equal to its YTM, then the bond is selling at par. Formula for yield to maturity: Yield to maturity(YTM) = [(Face value/Bond price)1/Time period ]-1. If the yield to maturity for a bond is less than the bond’s coupon rate, then the (clean) market value of the bond is greater than the par value (and vice versa). If a bond’s coupon rate is less than its YTM, then the bond is selling at a discount. If a bond’s coupon rate is more than its YTM, then the bond is selling at a premium. If a bond’s coupon rate is equal to its YTM, then the bond is selling at par. annuity: A specified income payable at stated intervals for a fixed or a contingent period, often for the recipient’s life, in consideration of a stipulated premium paid either in prior installment payments or in a single payment. For example, a retirement annuity paid to a public officer following his or her retirement. Bond price formula: Bond price is the present value of all coupon payments and the face value paid at maturity. Annuity formula: The formula to calculate PV of annuities. Where n is the number of terms or number of payments n =1 (annually), n = 2 (semi-annually), n = 4 (quarterly)… and i is the per period interest rate. The issue of new, lower- interest debt allows the company to prematurely refund the older, higher-interest debt. The decision of whether to refund a particular debt issue is usually based on a capital budgeting ( present value ) analysis. sinking fund: A sinking fund is a fund established by a government agency or business for the purpose of reducing debt by repaying or purchasing outstanding loans and securities held against the entity. It helps keep the borrower liquid so it can repay the bondholder. 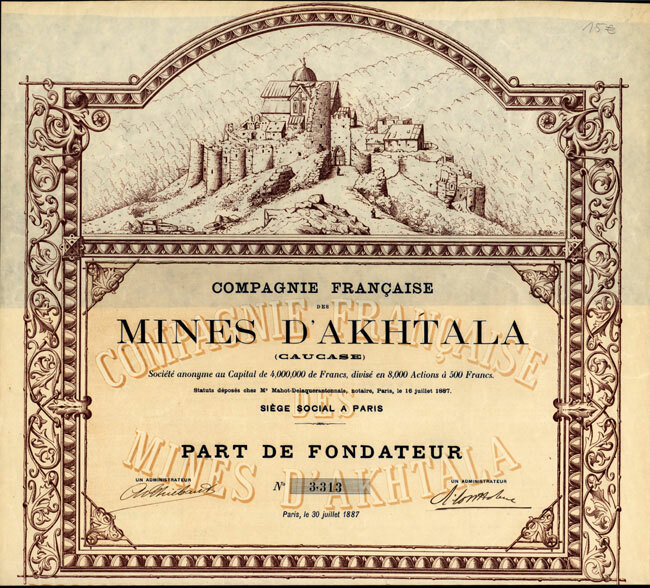 French Bond: French Bond for the Akhtala mines issued in 1887.